Electrode is an iOS game I created in high school. 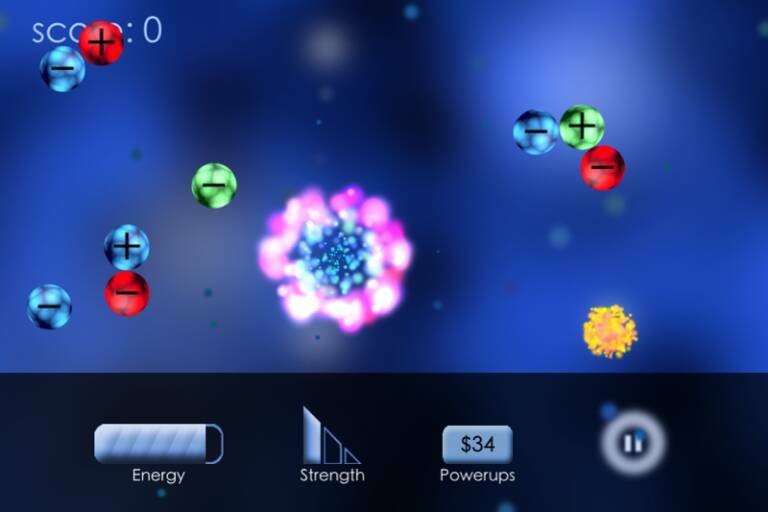 It's a 2d physics-based game in which the user must guide charged particles to a target. Touching the screen creates a positive field around your finger, attracting negative particles and repeling positive ones. I had a few goals in mind with this project. My main focus was on the visual aspects of the game. I wanted everything from the field your finger creates to the background to be built upon beautiful particle effects. I had first discovered particle effects when developing re:member, but the effects were not incorporated into that game nearly as tightly as in Electrode.